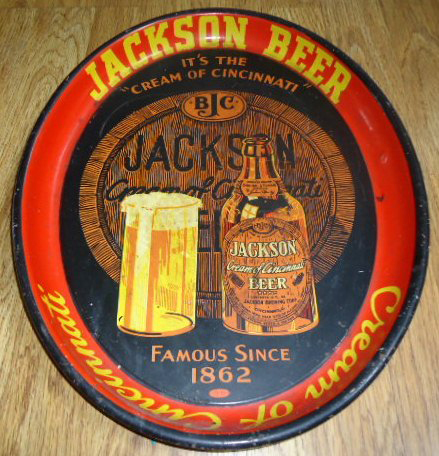 Serving Tray for Jackson Beer, It’s The Cream of Cincinnati. The center shows a bottle and tall mug of the company’s brew. Text at bottom states “Famous Since 1862.